Posted on July 6, 2016 by Stephen Greene Tagged bilingualBilingual childfamily namesNames	CommentsNo Comments on A Bilingual Child: What’s in a name? When I was a young kid (as I got older it might have changed somewhat) I had just the one name for my dad: ‘Dad’. I didn’t call him ‘daddy’ or ‘father’ or ‘pa’ or anything else. Just dad. My son, on the other hand, calls me lots of different names. This might seem obvious and perfectly explicable if he were calling me one name in English and one name in Portuguese, but he has far more than just two names for me. When he was learning to speak I was ‘daddy’. He would be speaking his broken Portuguese and call me daddy and it would make people smile. It was cute and I was proud to be the only daddy in the city. Then he went off to day care and he quickly realised he had to refer to me as ‘papai’ if he wanted all the other kids and teachers to know who he was talking about. Although I was a little disappointed I knew that this was all right and proper and the way it should be. This is often shortened to just ‘pai’. While I was initially happy to be called ‘daddy’, I would have preferred to be called ‘dad’. I didn’t say anything or push it because it is up to Mr T what he wanted to call me. ‘Daddy’ for me, is trying a bit too hard to be cute, with tones of upper-middle classness (I am English and these things still matter) and very Francis Urquhart (the original BBC series, not the American interloper). We spent a few consecutive weekends with a British friend of mine who also lives here in Curitiba and has a son who is a few years older that Thomas and speaks perfect English. This kid uses ‘dad’ just the way I did and, one evening, Mr T started calling me ‘dad’. I was quite happy about this and hoped that the evolution of my name would now stop. I had one in Portuguese and one in English. That was enough. Since about the age of 3, Mr T has been interested in names. I think this initially started because he liked to write the first letters of people’s names, but it continued because my name sounds funny in Portuguese. His vovó has a function in her car that enables you to tell the on-board computer who to call. But this on-board computer can’t speak English so if you say my name properly she doesn’t understand. Instead you have to say it in a Portuguese style which comes out as ‘Stefan Greeny’. To this day, this is one of the funniest things Mr T has ever heard. He delights in calling me the computer version of my name, followed by howls of laughter. He also uses my proper name of ‘Stephen’. If he wants something, or decides I have done something wrong, he uses either ‘Stephen’ or ‘Stephen Greene’. There is something very disconcerting about being woken up at 3 in the morning by your 4-year-old shouting out your real name at the top of his voice. And finally, the latest incarnation of my name: Johnny. This is the one I like the least because it has never been part of my identity. My middle name in John and, after a weekend away in Sao Paulo with is mother, he came back calling me Johnny. I have no idea why this should be, but apparently it’s funny and so, for the last few weeks, this name has been used whenever he wants to make a joke. While it gives me the chance to channel my inner Jack Nicholson it is lost on Mr T who hopefully won’t see the film for a good while yet. So the names I have so far include: Daddy, papai, pai, dad, Stephen ‘Stefan’ and Johnny. Who knows what he is going to call me when he is a teenager? 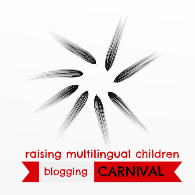 One of my original goals when starting this blog was to document my son’s bilingual acquisition. I had images of writing blog posts about his ability to communicate in English and Portuguese, and maybe even starting to learn a third language. As so often in life, things haven’t quite panned out as I had hoped. I only speak English to Mr T, but he nearly always replies in Portuguese. I am not especially worried about this as I know he has an excellent passive knowledge of English because he understands what I’m saying and we have great conversations, just in two languages. I am reluctant to ‘force’ him to speak English because I don’t want him to feel stressed out by trying to find words he doesn’t know. I am sure that when he is ready he will speak as much English as he wants and until then I value our own personal style of communication. While I don’t make Mr T speak English, I do encourage him. If he wants me to get him something, or if he wants to be allowed to watch yet another episode of Ninjago, he has learnt that if he asks me in English he stands a better chance. Another strategy I have used is one I have imported from teaching English in class. If a student makes a mistake one way of correcting them is to recast the phrase. For example, a student says ‘He like pizza’, the teacher can recast this by saying, ‘Oh, he likes pizza?’ The advantage of this is that you are able to provide a correct model while not necessarily obstructing communication. There is, however, a downside in that it is not entirely clear that all students notice this form of correction. Nevertheless, I have used this tactic for the last couple of years with Mr T. If he says ‘Olha pai, meu dragão é vermelho!’ I recast it in English by saying something like ‘Wow, your dragon is red!’ In my mind this provides more exposure to language that he is interested and so, one day, will move from being passive to active. We’ve started to see some improvement in his willingness to use English in the last few weeks, so maybe this strategy is starting to pay off. Or perhaps it is truly useless and something else we are doing is working instead. Posted on March 14, 2016 by Stephen Greene Tagged backBrazilCuritibaReturn	Comments4 Comments on I’m back! Last July, I decided to take a break for a few weeks from blogging while I got some work done and caught up on my real life instead of my virtual one. I managed to get some work done, but then more and more came in and real life really is fun. This meant that a few weeks turned into a few months which became 9 whole months. In all that time I was still thinking about blog posts I could write, but never actually sitting down and writing them. I kep putting off my comeback post until recently I realised that I would either just have to write something or give up on the whole idea completely. I enjoyed my time blogging so much I decided that I would just have to make the time to get back into it. And so here I am. I’m aiming to write something roughly once a week, but we’ll see how that goes. I’m going to continue writing about bringing up a bilingual son, life in Curitiba and generally about Brazil. I have this idea in the back of my head to re-design the whole blog, but we’ll see how that goes. Anyway, for now, it’s just good to be writing again. I hope to keep it up for a while and stop just thinking about it. Brazil may be a huge country, but Brazilians love making everyone and everything in it as small as possible. One thing I noticed early on when learning Portuguese was the prevalence of the suffix –inho or –inha. They use it on the end of words to form the diminutive, and they use it all the time. This means that a ‘coffee’ (café) becomes ‘cafezinho’, ‘grande’ (big) can be ‘a little bit big’ (grandinho), and ‘never’ (nunca) can be ‘never, ever’ when it is used as ‘nuncinha‘. Even the word little itself ‘pequeno’ can be made even littler by saying ‘pequeninho’. However, a small t-shirt (camisa) is not a camisnha because camisinha means condom. This little suffix be used to mean something is actually small but not exclusively so. It can also be used to show familiarity, friendliness or that something is just so damned cute. The basic rule is that you add –inho to masculine words and –inha to feminine words. However, if the word ends in the letter ‘z’, or vowel other than ‘a’ or ‘or’ then we have wither –zinho or –zinha, depending on the gender of the word. English uses the diminutive a lot less than Portuguese. Footballers and children are fond of adding a ‘y’ to the end of names to sound familiar, so that you will hear them referring to their teammates as ‘Scholesy’ and ‘Giggsy’. In terms of more formal English, we have imported the suffix -ette from French so that we get words like ‘kitchenette’ and ‘cigarette’. There are also different varieties of English around the world that have their own diminutive forms, like my dad shows his Irish roots by adding -een to the end of various words, for example, ‘Would you like a cuppeen of tea?’ is a common expression in our house. In general, though, we don’t have a common diminutive form, and when we do use it we are nothing like as proficient as Portuguese speakers for employing it. Mr T has picked up on this in his Portuguese and is enjoying playing with words and liberally adding –inho to them. He was begging me to let him watch Batman the other day and, because we have a rule that he can only watch at night the answer was no. But he is nothing if not persistent and so asked if we could watch Batmanzinho, or just a little batman. Mr T couldn’t tell you the rule about when to say –inho or –zinho, but he has shown us that he is aware of it. He did this when playing with the English word ‘daddy’. First of all he called me ‘daddyinho’, but he knew this was wrong almost as soon as it came out of his mouth. A few seconds later he repeated himself, but this time said ‘daddyzinho’. I liked this because it shows he is being creative with his language, playing with it to get new words and meanings. He also did it with a look on his face to suggest he knew what he was doing was a joke at my expense and that he also knew that he shouldn’t really be doing this in English. The only downside is that I am little daddy and not big daddy. But at least my name isn’t Shirley. My almost-4-year-old son replies to me in the ‘wrong’ language. By ‘wrong language’ I mean that I speak to him in English and he usually replies in Portuguese. I think the main reason for this is that he knows I understand him so it is easier for him to use the language he encounters 99% of the time. I am not particularly worried about this. Before Mr T was even born we decided on what our language plans were going to be. One of the principles we came up with was that our child should be free to use whatever language he/she wanted to use. The aim was communication, not communication in a specific language. 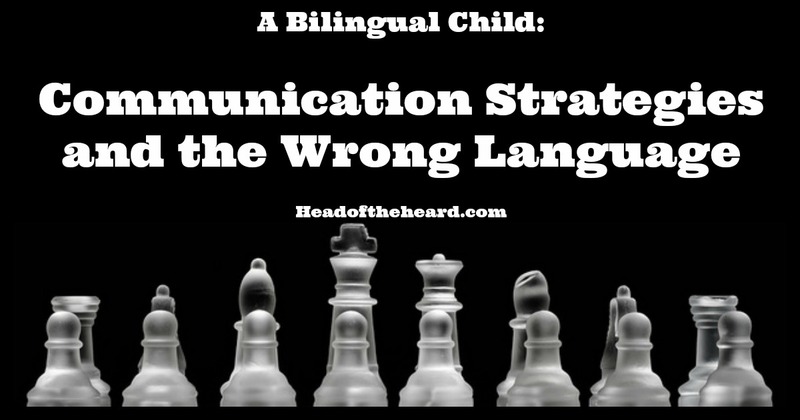 We didn’t want to force our child to speak a particular language as we thought this might lead to resentment. Instead, we hope that through constant exposure the two languages would be picked up normally. He is exposed to quite a bit of English. He obviously hears me speaking all the time, and when his mamãe and I are speaking in his presence we usually use English as well. We try to make sure that any TV he watches is in English, and most of the songs we listen to are also in English. Finally, there is his family in the UK that speaks English to him. And this UK family is perhaps the key yo the whole thing. They speak very little, if any, Portuguese so when he is with them he has a choice. Either make the effort to speak English, find a different way of communicating, or simply not be understood. When we were in the UK over Christmas and New Year, his mamãe and I went to Edinburgh for a few days, leaving Mr T in the capable hands of my parents. We were slightly worried about how they were going to communicate, but regular Skype calls home reassured us that there were no huge problems. Mr T was able to find a way of communicating his needs. Sometimes, this was by taking his time to think about an English word. At other times it took a bit more creativity, like jumping up and down and holding his crotch to show my dad he needed to go to the toilet. He has even started to do this with me now. The other day he wanted to know how to say ‘siga‘ in English. I pretended that I didn’t understand, hoping that I could get him to remember it in English himself. Instead he acted it out with one hand following another. It is these communication strategies that I find amazing. A desire to get your meaning across, couple with a knack for using whatever tool is at your disposal is surely an important life skill that will serve him well in the future, whatever that might be.